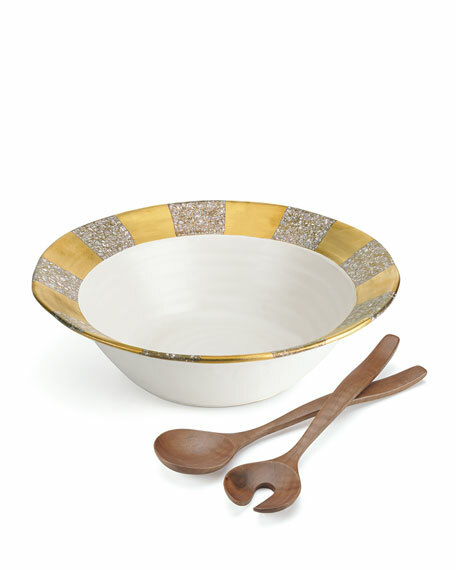 Salad bowl of bone china is hand decorated with 24-kt. gold. EXCLUSIVELY AT NEIMAN MARCUS Hand-painted dinnerware. Made of porcelain with a glaze finish. Service includes four 11"Dia. dinner plates, four 9"Dia. salad plates, and four 7"Dia. x 2.75"T cereal bowls. Dishwasher and microwave safe. Made in Portugal.